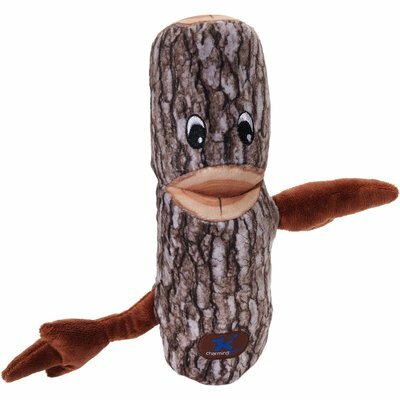 ›Charming Pet Barkers-Black Oak Small 3.5"X13"X10.5"
Charming Pet Barkers-Black Oak Small 3.5"X13"X10.5"
With Realistic Looking Bark Fabric And Tree Branch Arms That Pull Through, This Natural Looking Plush Toy Is A Perfect Playtime Pal To Bring The Outdoors Inside. It Has A Large Squawking Squeaker. This Package Contains One 8X8.75X3 Inch Dog Toy. Warning: This In Not Indestructible. Pets Should Be Supervised When Playing With It. Available In A Variety Of Styles. Each Sold Separately. Imported.